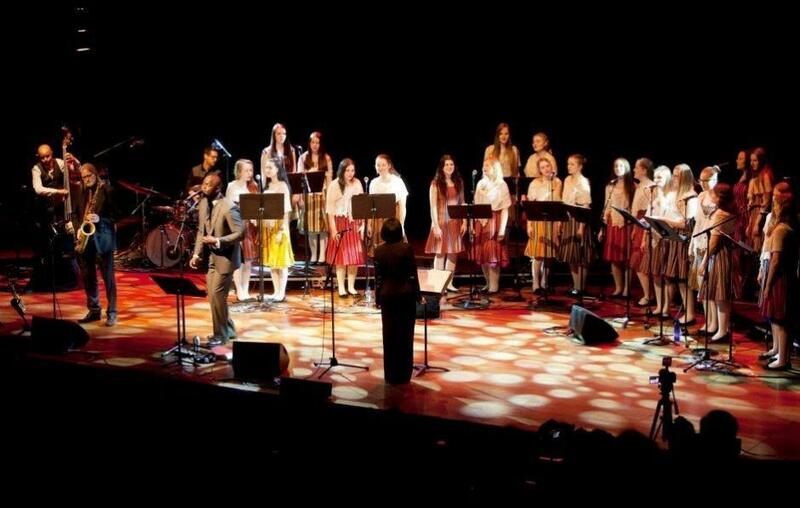 As part of the London Southbank Centre choral festival, on 6 April the Estonian TV girls’ choir; a leading Estonian saxophonist, Villu Veski; and the British-Nigerian soul and jazz singer-songwriter, Ola Onabule, performed together for the first time in the UK. With the house lights still up, the Estonian TV girls’ choir entered London’s Queen Elizabeth Hall and formed a circle around the audience. The surround-sound choral performance which followed set the tone for an afternoon of traditional music presented in a highly original way. Artists working in the 21st century are often challenged to come up with ways of refreshing musical styles that have long been familiar to music connoisseurs. This is particularly true of artists working in folk and classical music. In Estonia, however, the contemporary vibrance of traditional choral music has helped keep this music close to the hearts and minds of young people and the enthusiasm with which choirs present this music to non-Estonian audiences has increased the popularity of Estonian choirs throughout the world. Although all the singers in the ETV girls’ choir are school-aged, their musical standards are higher than many professional choirs. Thus, when the girls were joined by a band of seasoned professionals, they more than held their own and in many ways stole the show. The jazz ensemble who joined the girls was led by the British soul and jazz vocalist and composer, Ola Onabule, along with the great Estonian composer and saxophonist, Villu Veski. The programme showcased a combination of traditional Estonian folk, contemporary jazz, gospel and soul, much of it composed by Onabule and Veski who have collaborated frequently over the last two years. Although both Onabule and Veski are masters of the jazz and soul idioms, jazz isn’t typically associated with Estonian choral music, but in many ways these traditions have much in common, especially in respect of Estonian choral and gospel music. In both European classical music and European sacred music, choral performance is generally not interactive. But in both gospel singing and traditional Estonian singing, the delineation between audience and performers are often blurred, the Song Festival in Tallinn being an example of the worlds largest audience based choral performance. This spirit of interaction permeated the entire performance at Queen Elizabeth Hall where a London audience got to see the fruits of a tripartite collaborative effort between two jazz musicians and a girls’ choir. The concert proved how it is possible to present traditional music in a highly original way and still leave audiences feeling fully immersed in an shared artistic experience. 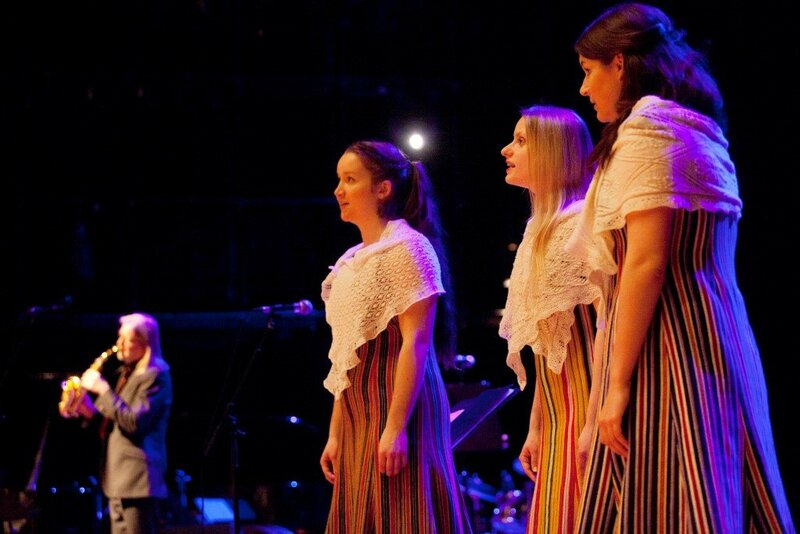 Photos by Belinda Lawley/courtesy of London Southbank Centre.